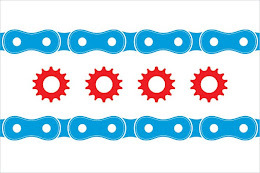 The Illinois Bicycle Lawyers of Keating Law Offices have been following the ongoing case from a terrible cyclist-motorist collision that occurred in Skokie this past 2012 summer. A 9-year old boy tragically lost his life after a 23-year old woman, Hanin Goma, of Skokie struck him while he was bicycling this past May. Ms. Goma has been charged with felony aggravated DUI resulting in death and misdemeanor driving under the influence of drugs, charges that she had plead not guilty to in previous court showings. This was in spite of that fact that the prosecution made great efforts to get a guilty plea to spare the family the pain or protracted court appearances. The judge in case previously refused to lower the motorist's bond. The Tribune is reporting that Hanin Goma has finally plead guilty to all charges. By doing so, Goma ultimately plead guilty to the charges that she was on drugs at the time of the collision. With this admission, she could potentially face up to 14 years in prison. She is scheduled to be sentenced in March. The local authorities and the Cook County State's Attorney's Office deserve great credit for their consistent and stringent prosecution of this heinous crime. Our thoughts and prayers have been, and will be, with the boy's family.